If you have been a follower of my blog for any amount of time then you know that I am really into beauty products. 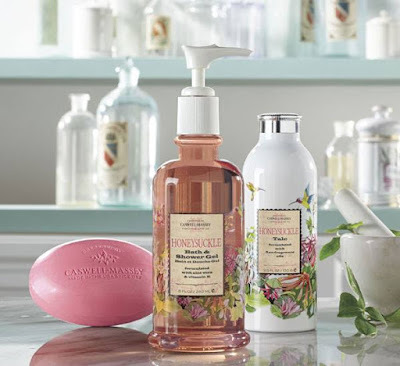 Bath and beauty products are some of my favorites...I guess it is just because I love the little things in life that help me to feel just a little bit more pampered. I am a BUSY mom of four little people and having some luxurious products to unwind with are just so wonderful. 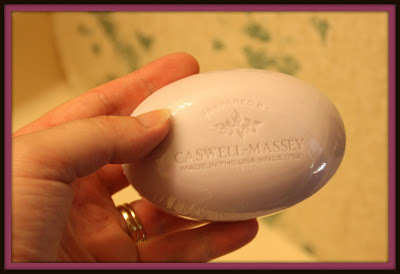 Before there was a United States of America, there was Caswell-Massey, the original purveyor of the finest personal care products and accessories. America’s oldest operating retailer, Caswell-Massey was founded in 1752 in Newport, Rhode Island by Dr. William Hunter. Caswell-Massey has since been able to serve a distinguished clientele including the Founding Fathers, the pioneers of Wall Street, and many legends of art and film. Today, Caswell-Massey continues the traditions of crafting only the finest personal care products and accessories, and of procuring the best of what the world has to offer. More than 258 years after Dr. Hunter opened his doors, Caswell-Massey continues to honor his commitment to quality, service, and innovation. Some things never change. I was thrilled when asked about reviewing some of their products straight from their Vintage Collection! 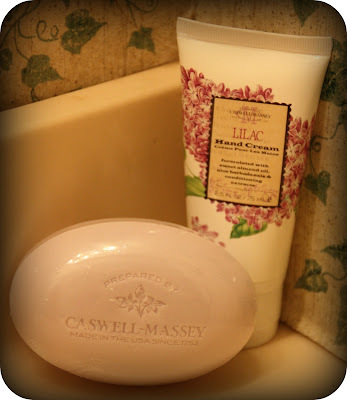 So, for this review I was sent some of the Caswell Massey products from the lilac scented line. I was sent the Lilac Bath Soap and the Lilac Hand Cream. I want to say first of all the I LOVE the packaging of these products. They looks soo elegant and pretty...a perfect addition to guest bedrooms and bathrooms! The hand cream is very nice. Probably one of the nicer brands that I have received. I found that I didn't have to use much in order for it to be effective. A little went a long way so this 2.5 ounce tube will last me quite a while. I love products that I know will last me a long time. The other thing that I loved was the scent of this lotion. It is AMAZING. 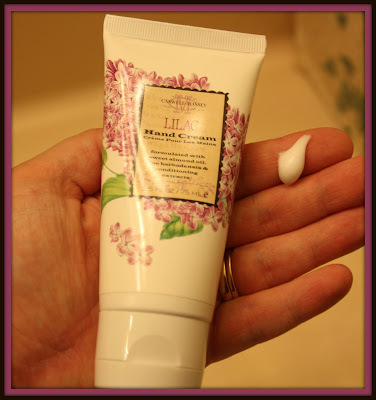 If you are a lilac fan then this is the hand cream for you! It smells sooo great. The soap is also very nice. I love how it is wrapped in clear plastic so you can see the color of the soap. The lilac is such a nice light purple color and you can smell it so vividly even though it is wrapped. I am so excited to have this in my bathroom over the spring time season...lilacs are such an amazing flower in the spring, this would be a perfect addition to my bathroom sink. The Lilac Soap retails for $22 and the Hand Cream is $15. I think the price is a bit steep for these products but again, you are paying for a high quality product. I personally love anything honeysuckle so I would also love to try their line of Vintage Honeysuckle products. So lovely. So if you love beauty products that are stunning in both scent and quality, you would certainly enjoy these. Make sure you check out Caswell-Massey on Facebook and also on Twitter. Special thanks again for Caswell Massey for providing these lovely products to me so I could try them out today.